Good news for admission applied student. 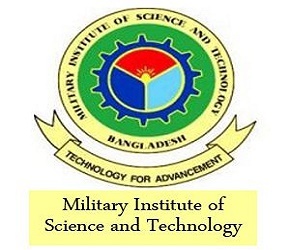 Military Institute of science and Technology which is well known as Military Institute of Science and Technology admission circular for Undergraduate B.sc course for session 2015-16 has recently published. Eligible candidates list publish: 6th November 2015. Result published: 23rd November 2015. Only science group student who passed SSC obtain GPA 4 and HSC obtain 5 minimum total points 22 (Mathematics, Physics, Chemistry, English, and Bangla) having minimum ‘A’ grade in Mathematics, Physics, and Chemistry. Must have HSC passing year 2014 or 2015. Male and Female both Applicants can apply. All details about requirement found in MIST official website. Interested students can apply by online and through SMS by using Teletalk operator. Application Fee is for UNIT A 750 taka, UNIT B and UNIT A+B TK 1050. Application Form is to be submitted online through internet from MIST website (www.mist.ac.bd) by paying TK 750 or TK1050 from Teletalk prepaid mobile SIM. Necessary instructions will be available in respect of filling up the application form in the Prospectus. Unit A: Mathematics-80,Physics-60,Chemistry-40,Functional English-20.Total 200 marks and exam duration 3 hours. Unit B: Mathematics-80,Physics-60,Chemistry-40,Functional English-20, Drawing and Architecture related topics-100.Total 300 marks and exam duration 4 hours. UNIT A: B.Sc. in CE, CSE, EECE, ME, AE, NAME, BME, NSE, and EWCE programs will sit for Question Module 1 only. UNIT B: Bachelor of Architecture program beside UNIT (A+B) will sit for Question Module-1 and Module-2 with sufficient break. To download the admit card for Military Institute of Science and Technology admission exam you have to required your user id and password which will be given when you complete your application through SMS from your Teletalk operator. MIST Admission Seat Plan : Seat plan will be available from 7th November for the eligible student. It will be available in the MIST official website.Total numbers of seats are 555. In general about 50% seats will be allocated to military officers. Though, in case of the condition of military students vacancy is less in any particular year, the incomplete vacancy will be filled up by civil students. MIST also maintains quota. 40% Quota for Children of Military Personnel, 2% Quota for Children of Freedom Fighters, 1% Quota for Tribal Citizen and 3% Quota for International students. Admission test exam result will be published at 23rd November 2015. MIST admission exam question solution. All details about admission notice and result also seat plan of MIST is available on official website www.mist.ac.bd here.